Pursuing an MBA, a PhD or an Executive Education program is one of the best investments you will make in your personal and professional development. Deciding how to finance your studies and make the investment possible takes careful research and planning. We have agreements with public and private institutions, and our students tend to choose one of these options. But they are by no means mandatory. We have had an agreement with Banco Sabadell, Spain’s fourth-largest bank, since 2004 to promote high-quality management around the world and ensure that there are financial options for any exceptional individual who has the potential to become a world-class manager. The loan provides financing towards tuition fees. Since then, more than 1,500 students have been able to finance their studies through the Global Loan Program. Maximum amount: Up to 80% of the tuition fee as long as the student meets the bank application requirements. 100% can be met with extra guarantees. Please click here to download Banco Sabadell’s brochures. You can apply for the loan through the website: www.bancsabadell.com/IESE or at any branch of Banco Sabadell. Additionally, the application can be submitted to the bank by filling out the pdf (Application Global Loan) and sending it to the bank by email: iese@bancsabadell.com with attachments. Please consult the Documentation Global Loan to see the list of documents required. You can also see how the application process works by clicking here (Application process Global Loan). For more information, contact the Financial Aid Office or Banco Sabadell directly (email: iese@bancsabadell.com, tel: 902 323 000). We work with Prodigy Finance to offer an innovative lending model that provides community-funded loans to international students. Students accepted into the full-time MBA program, Executive MBA, Master in Management are eligible to apply. Students of 150 nationalities are elegible for the Prodigy program. Maximum amount: 80% cost of attendance. No collateral or guarantees are required. Repayment period: 7, 10 or 15 years, with no penalties for early repayment. Competitive interest rates vary depending on individual applicants. Please click here to download Prodigy Finance’s brochure. See more details about the terms and conditions, and how to apply for a loan on Prodigy Finance’s website. For more information, contact the Financial Aid Office. IESE is registered with the U.S. Department of Education as an accredited foreign school and participates in the William D. Ford Federal Direct Loan program. Eligible students may apply for the Federal Direct Unsubsidized Loan and Federal Direct PLUS Loan and may borrow up to their full cost of attendance for their program minus any other financial aid received. Students funded with D. William Ford Federal Direct Loan program have restrictions according to the U.S. Department of Education’s Rules. Students of the full-time MBA program are not allowed to attend the international module in New York and the exchange programs in U.S. nor any other ineligible school. Additionally, full-time MBA students are not allowed to attend the internship that takes place in U.S. This funding is not available for Executive MBA, Global Executive MBA, or PhD students or for participants in non-degree programs (such as Executive Education programs). A number of scholarships are available to incoming IESE students. IESE scholarship applications should be completed and submitted within the MBA application form to the Admissions Department. The IESE Trust awards 20 to 30 scholarships to students with outstanding academic records, excellent professional experience and personal merit. Scholarships can cover up to €45,000 of tuition fees. Please note that living expenses are not covered by any of the scholarships. The Trust Scholarships are awarded at the discretion of the Scholarship Committee. The MBA Admissions Department grants scholarships to outstanding candidates with verifiable financial constraints. Forté Fellowships are open to all female applicants. Candidates should exhibit exemplary leadership through academic, team, community and creative leadership. Candidates should demonstrate a commitment to women and represent diverse educational and work backgrounds, career goals, ethnicities and citizenship. The maximum amount of the scholarship is one year’s tuition fees. IESE awards up to three scholarships covering up to 100% of the MBA tuition fees. To be eligible, candidates must be nationals of Africa and have demonstrated exceptional work experience and personal merit. This scholarship is available to those who apply within our R1 & R2 application deadlines (before Jan. 8, 2019). The IESE Alumni Association awards five scholarships covering up to 50% of tuition fees for the first and second year of the MBA program. These scholarships are for future MBA students who have demonstrated exceptional work experience and personal merit. Scholarships will be awarded to those students who demonstrate academic merit together with an outstanding professional background. Scholarships will be awarded to entrepreneurship students who have launched or are launching a new business. For more information visit the Executive MBA Financial Aid page. 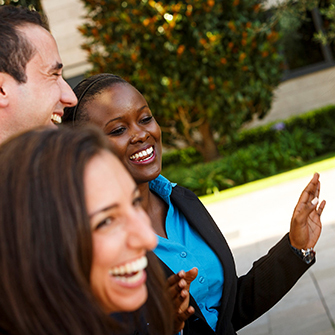 IESE’s mission is to help develop outstanding business leaders across the world. We offer a range of scholarships for the Global Executive MBA program to managers, executives and entrepreneurs who have demonstrated the potential to make a positive impact on the global business community. As a prerequisite, scholarship applicants must have already been admitted to the IESE Global Executive MBA program. On admission, eligible candidates will be invited to apply for the scholarship of their choice. Admitted candidates who are fully or partially sponsored by their companies will not be eligible for scholarships. Applications can only be submitted for one specific scholarship. Although admission to the program is deferrable, scholarships are not. 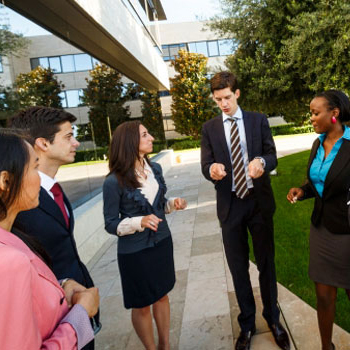 In addition to IESE scholarships, many students finance their studies through scholarship programs funded and administered by external organizations. Though IESE does not administer or select for these organizations, we are ready to support students in any aspect of their application process. Some foundations also rely on IESE to carry out an initial screening of candidates. You will find all scholarships available for you in FAO Search engine. IESE’s Financial Aid Office is here to help you understand what financing options you have. Our many years of experience in counseling students allow us to help you find the option that suits you best. 1. 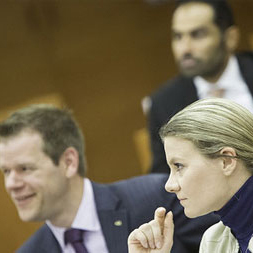 Explore and analyze all financial options for financing your IESE program. 2. Get several rate quotes on MBA loans and compare them in order to choose the best offer. 3. Check your local finance providers and consider taking a loan in your local currency. Take into account exchange rate fluctuations, which may impact your loan repayment in the future. 4. Check out this website to look at different financing options. 5. Prepare a spreadsheet of your living costs and tuition fees, including the loan payments. Be aware that some loans require monthly payments during the study period. These payments can be interest only or principal plus interest. 6. Prepare all documents required for securing a loan before leaving your home country and bring them to Barcelona. 7. Apply for your loans as early as possible. Full-time MBA students should secure funding and send a financial proof to the Financial Aid Office before July 15. 8. For Spanish loans and other banking operations, obtain your NIE (Spanish residence permit) as soon as you arrive in Barcelona. 9. Remember that IESE’s Commitment and Reservation Fees are not covered by loans offered at IESE. 10. All full-time MBA students should send their financial plan, according to dates provided by the Financial Aid Office. 11. Take into account that loan amounts and interest rates depend on the risk profile of each candidate: a student’s loans, debt and savings, along with country risks such as an exchange rate volatility. 1. Establish a good and stable relationship with your loan/scholarship provider. Whether it’s a bank or private lender, know who your contact person is and keep your contact data updated, especially when leaving Barcelona. 2. Make sure you know your tuition payment due dates (monthly) and exact amount. In the case of loans, make sure that the bank has all information and is transferring the funds by the deadline. 3. Pay tuition according to the school tuition deadline. 4. In case you opt for the Bank Sabadell loan, remember to sign the loan in October (first week) and not before. From that moment, you will have to pay interest and your deferment period starts. 5. In case of the Bank Sabadell loan, check that you have authorized the bank to send payment for the second year tuition. 6. In case of the U.S. Federal loans, remember about restrictions regarding the international module in New York, internship and exchange program in the U.S. and in any other ineligible school. 7. If your loan is in a different currency than your national one, take measures to ensure future payments regardless of exchange rate fluctuations. 1. Meet your loan repayment schedule. If you’re going to miss a payment for any reason, be proactive and work with the lender in advance to find solutions before it triggers any procedure against you. 2. School loan conditions for incoming students depend on the payment behavior of all IESE students. What are the financing options for my MBA? We offer various scholarships and loan programs. Consult this website for different scholarships and loans available. Can anyone apply for financial aid to do an MBA at IESE? Yes, all candidates can apply for scholarships available and all admitted students can apply for loans. Can I cover the full cost of my MBA through financial aid? It’s possible to cover the full cost through a mix of loans and scholarships. Consult this website for different scholarships and loans available. What options do international students have for financial aid? All candidates, including international candidates, can apply for scholarships available and all admitted students can apply for loans. Please consult the list of scholarships available on this website. What's the right time to plan funding/financial aid for my MBA? 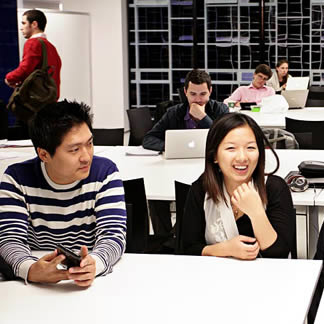 We recommend you start planning your funding at the same time as you decide to do an MBA. Can I negotiate my MBA financial aid package? The Financial Aid Office supports all students in their relationship with banks. If you need our help, contact us at Financial Aid Office. Regarding scholarships, contact the MBA Admissions team in order to receive more information about scholarships available. Can I apply for financial aid to do an Executive MBA or Global Executive MBA at IESE? Yes, all admitted students are eligible to apply for financial aid, whether it is scholarships or loans. Consult this website for different scholarships and loans available. Once you are admitted to the program, you can apply for one of the loans available at IESE. You will receive a letter with further instructions from the Financial Aid Office soon after being admitted. Does IESE have specific loans for international students? Yes, international students have various loan options. Consult this website for further information. You should apply for loans as soon as you are admitted to the program and at least 2-3 months before your program starts. For the incoming students of the full-time MBA program, you will receive a letter from the Financial Aid Office including deadlines for submitting your financial plan. I don't know if I qualify for a loan. How can I check this? Please contact the Financial Aid Office at the email faohelp@iese.edu and we’ll provide you with all the necessary information. Do I need to provide a bank guarantee to obtain a loan? It is not usually required, but if you can provide a bank guarantee (in the case of the Bank Sabadell loan), conditions of the loan may be more attractive with guarantees. Do you have any information about non-IESE scholarships? Yes. Please consult the following list of external aid available. When will I receive a decision regarding my scholarship application? Contact the Admissions Department of the program for which you are applying. How does the bank evaluate student credit capacity? The bank evaluates the student’s credit capacity on a case-by-case basis prior to granting a loan. Loan amounts and interest rates depend on the risk profile of each candidate: a student’s loans, debt and savings, along with country risks such as exchange rate volatility. Is it possibile to finance my studies through U.S. Federal loans? Yes. IESE is registered with the U.S. Department of Education as an accredited foreign school and is eligible to disburse U.S. Federal Loans (Stafford Loan and Graduate PLUS Loan) through the Direct Loan Program for full-time MBA program students. There is further information on this website. How much does the full-time MBA cost? The fee for the full-time MBA program starting in September 2019 is €89,950. Consult the MBA website for further information regarding costs. Please consult our MBA website for information on the cost of living in Barcelona.